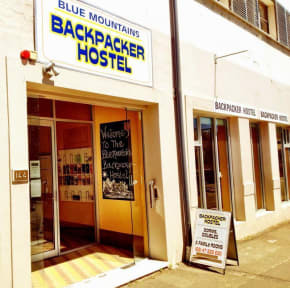 Blue Mountains Backpacker Hostel is the closest hostel to Katoomba train station. We have a wide range of dormitory, private, private en-suite, family and family en-suite rooms. We cater to travellers and families accommodating up to 160 guests. Our lounge is great for everyone to mingle or find a quiet corner in front of the fire. Test your skills on our free pool table, soccer table, guitar or play one of our many board games. We have a spacious kitchen, BBQ area and courtyard garden as well as free wi-fi, games, luggage storage (just leave us a review!) and on-street parking. Ask our friendly staff about our visitor information and attraction tickets and much more. Please ask! Blue Mountains Backpacker Hostel has worked with the major tour and activity guides. 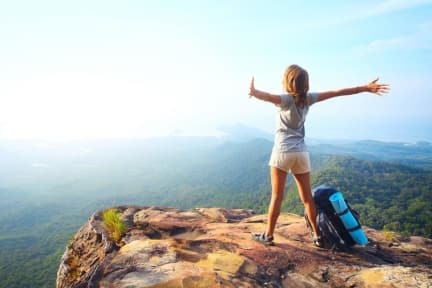 We believe that we have put together a variety of packages which would suit all travelers, from first time adventurers to those who really want to test themselves. This is not an hostel... this is HOME!